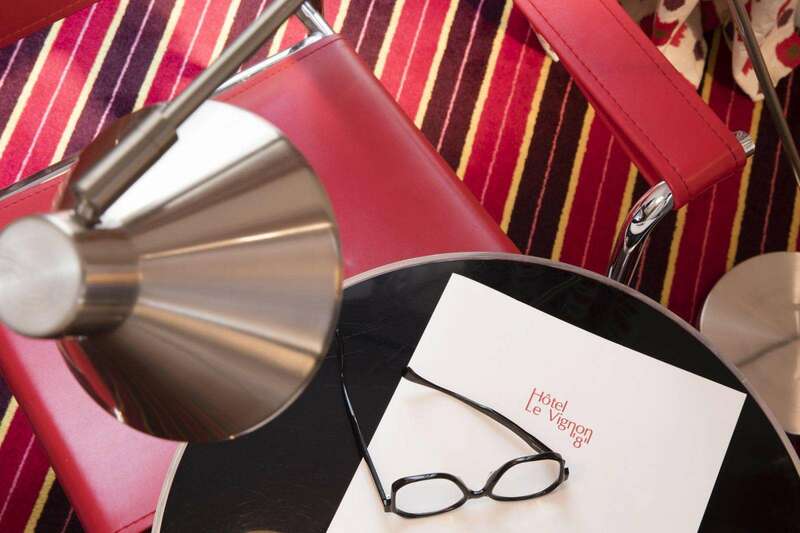 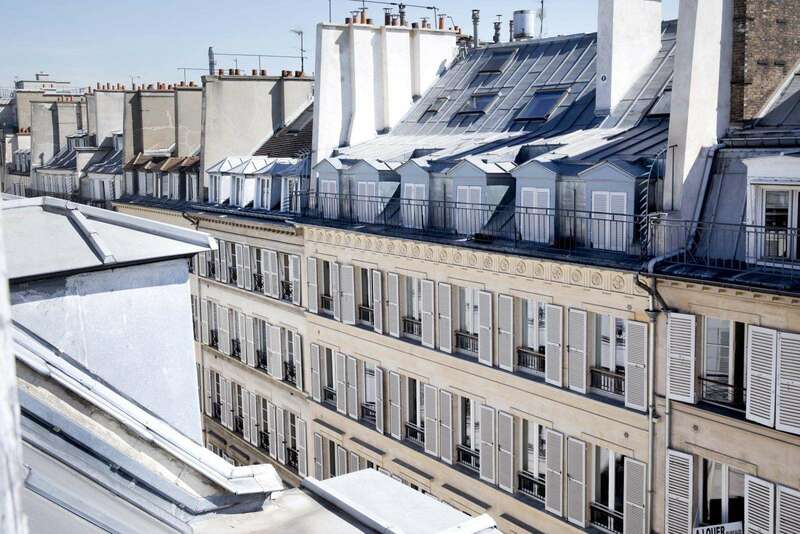 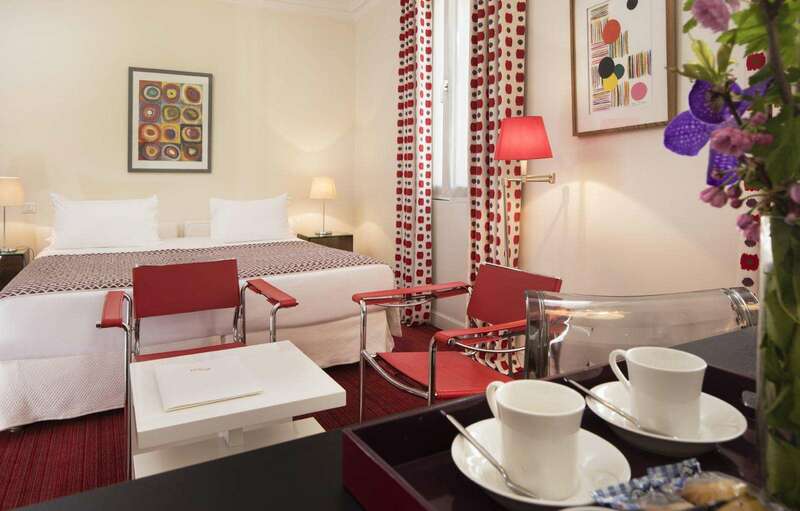 Located in a lively district in central Paris, near to the Palais Garnier Opera house, the hotel Le Vignon offers guests a stay in a charming and peaceful setting: the bright rooms bask in a tranquil atmosphere and are conducive to a well-earned rest after a day spent visiting the French capital. 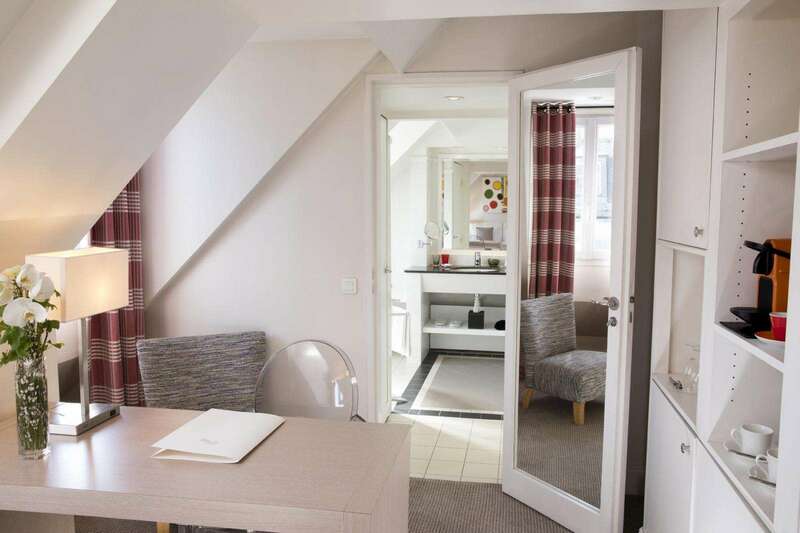 Rooms are spacious and comfortable, with beautiful natural light. 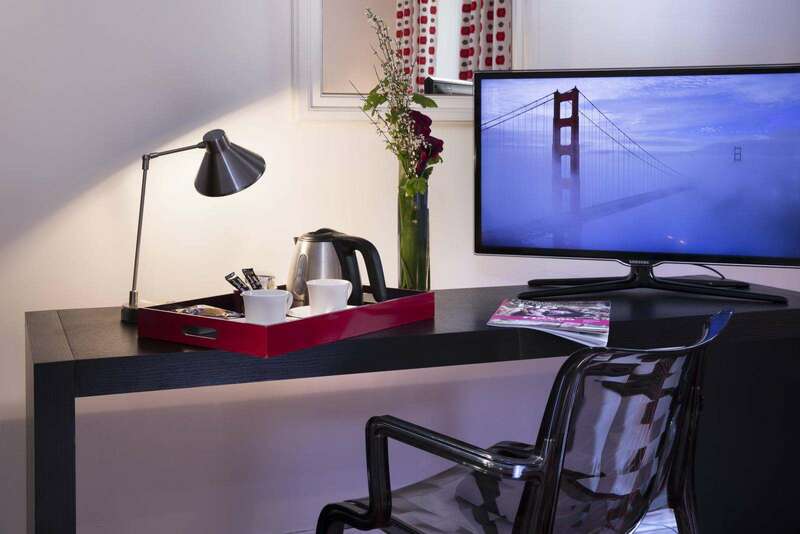 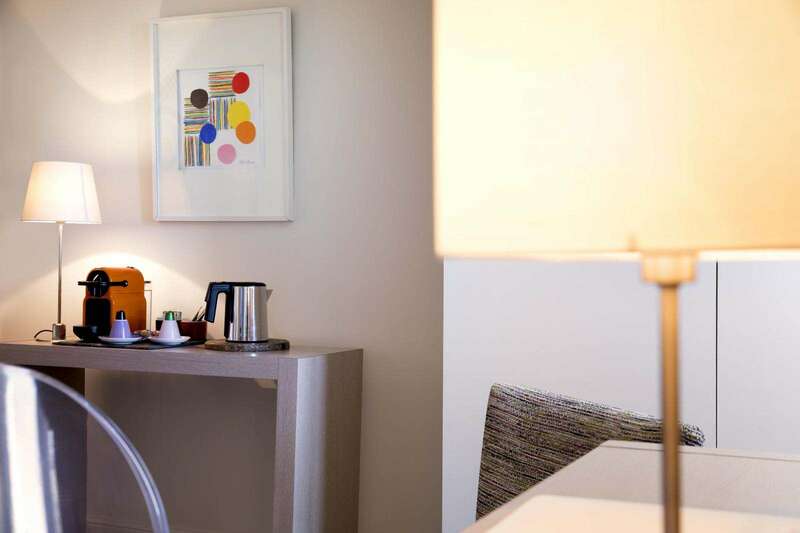 They are decorated with care and feature designer objects, such as the bedside tables created by Philippe Starck and the Designers Guild furniture in the hotel's lounge. 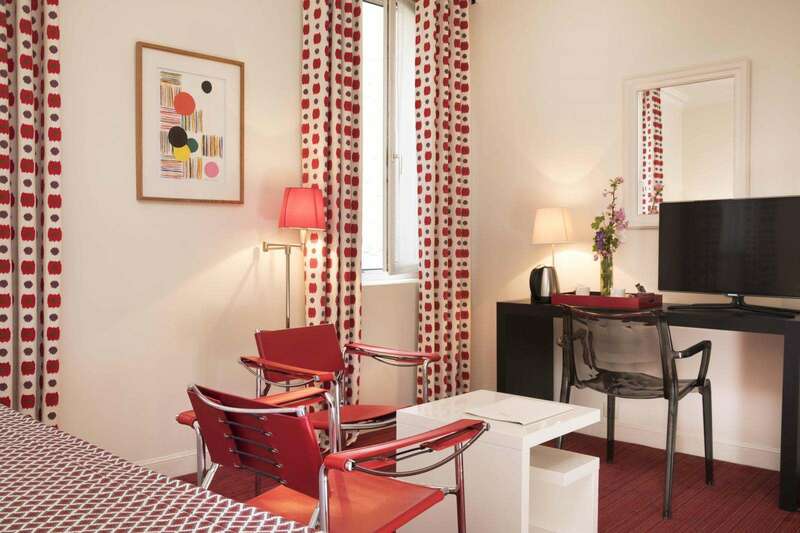 A high level of comfort and attractive, contemporary décor: an ideal setting from which you can discover or re-discover Paris! 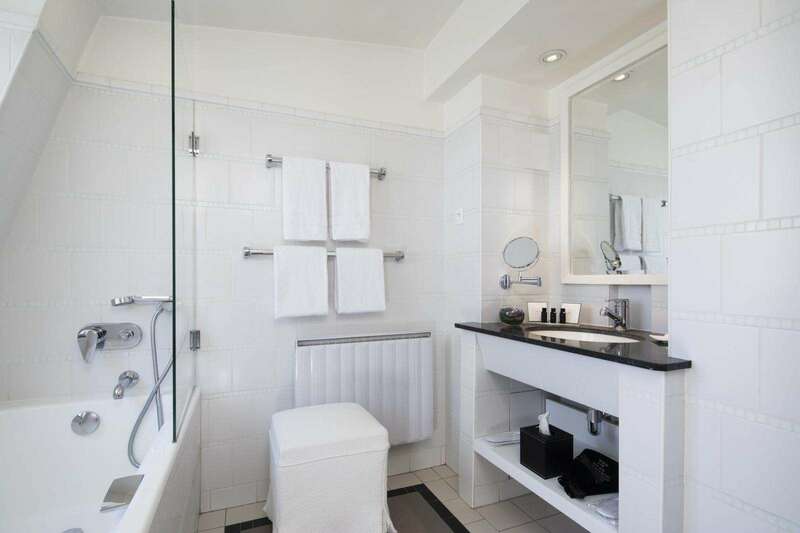 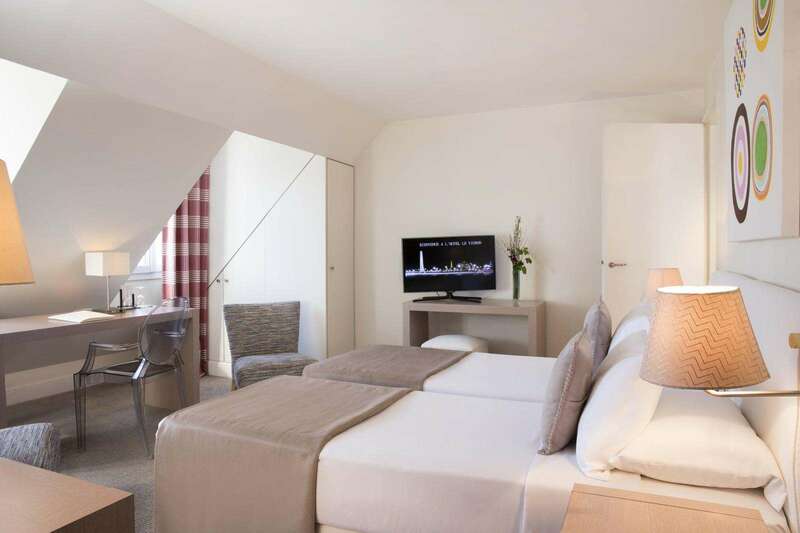 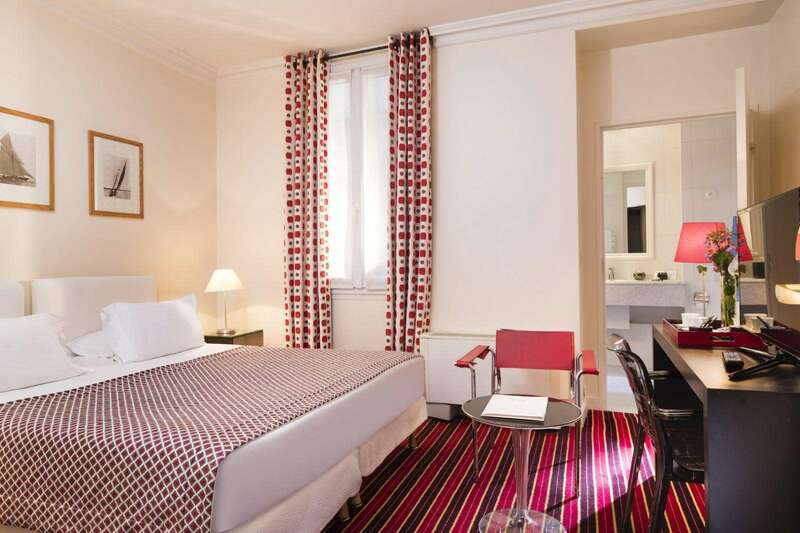 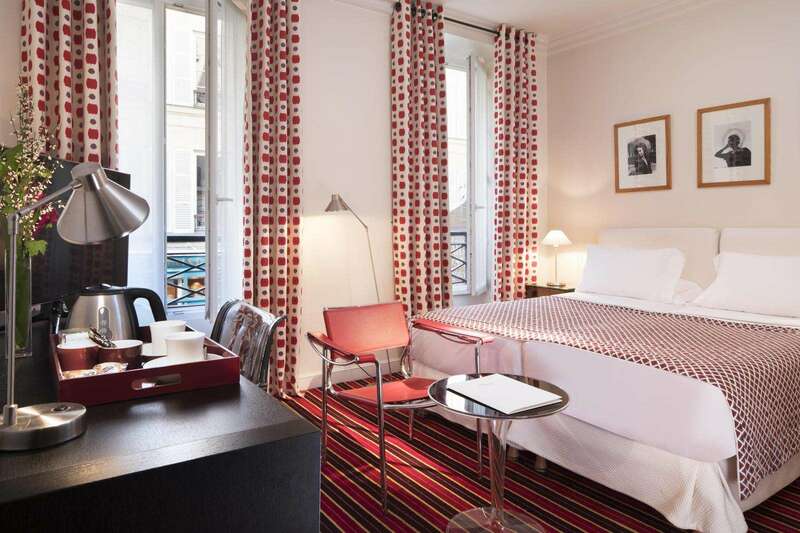 For a leisure or business trip to the French capital, enjoy the tranquillity and comfort of this classic bedroom and refined interior décor, with a window overlooking the courtyard, just a short walk from Place de la Madeleine, famous department stores and the Olympia concert hall. 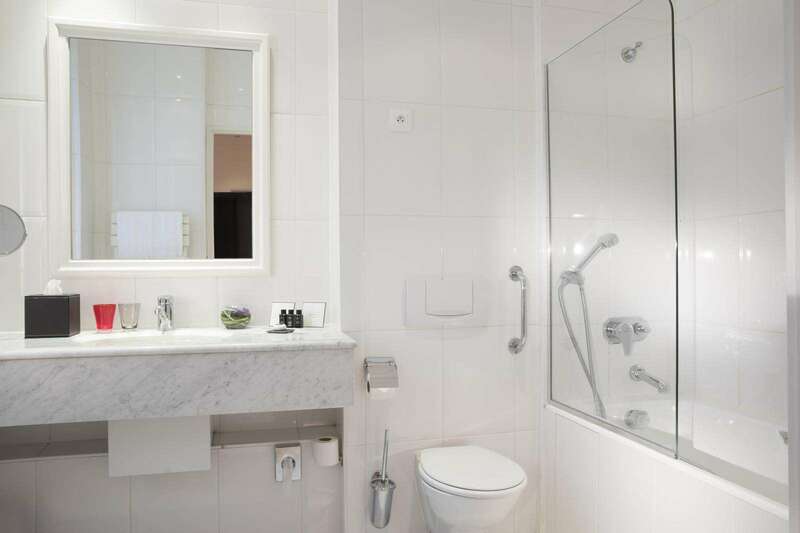 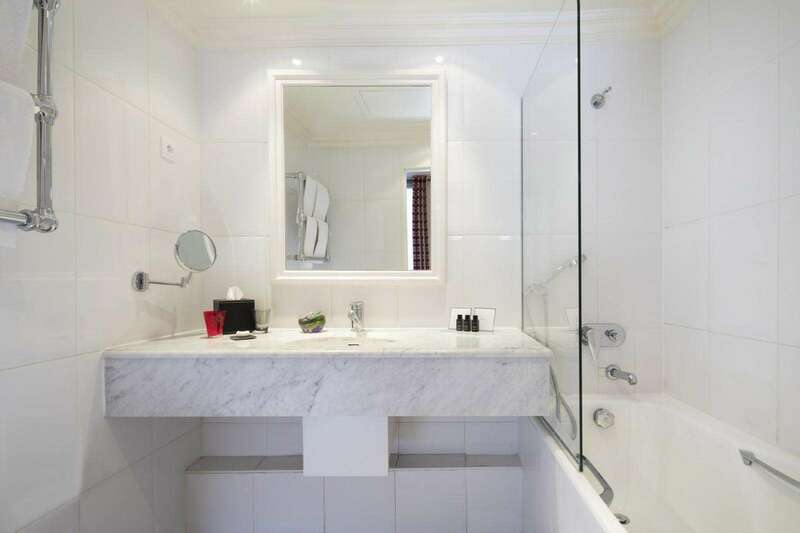 The room has a bathroom with bath tub. 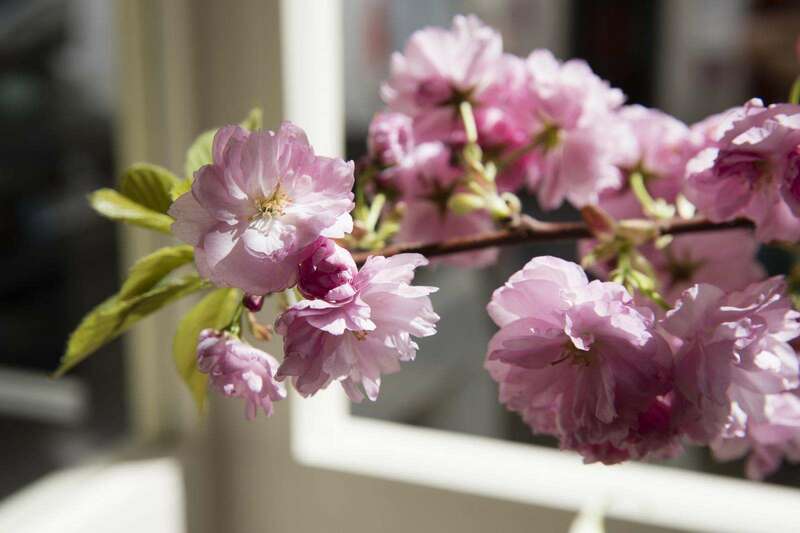 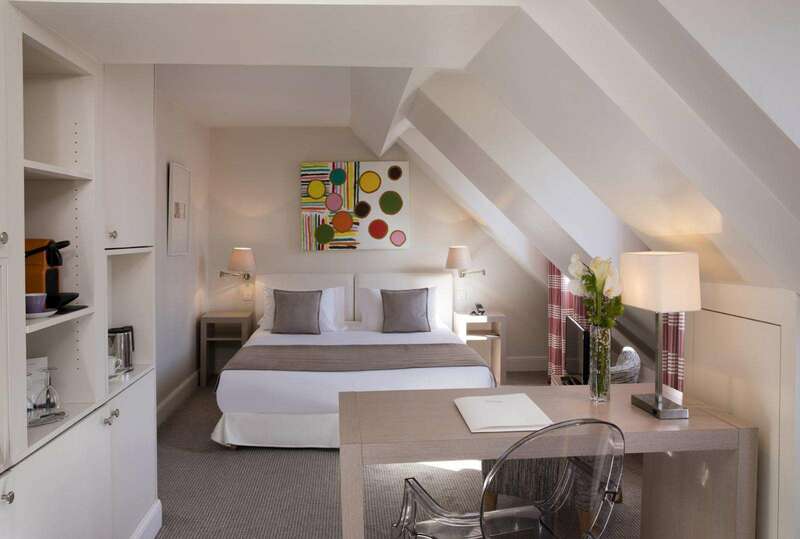 This superior room is spacious and bright, with two windows overlooking the street or courtyard. 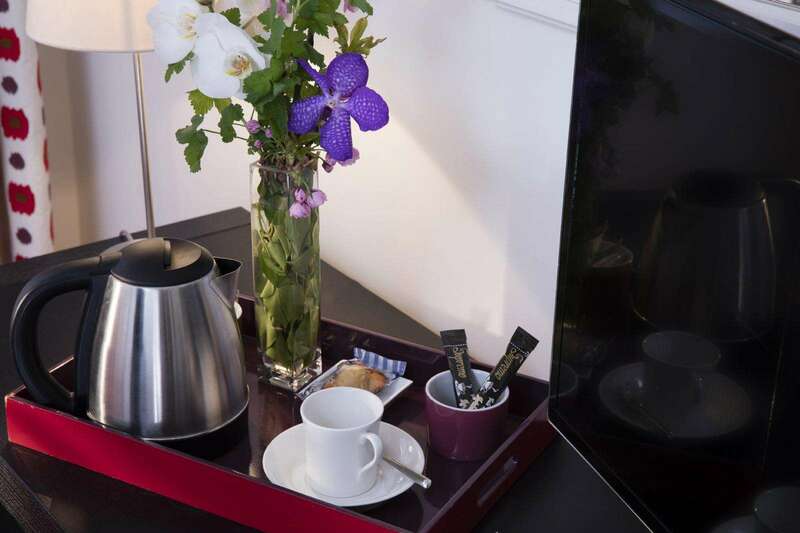 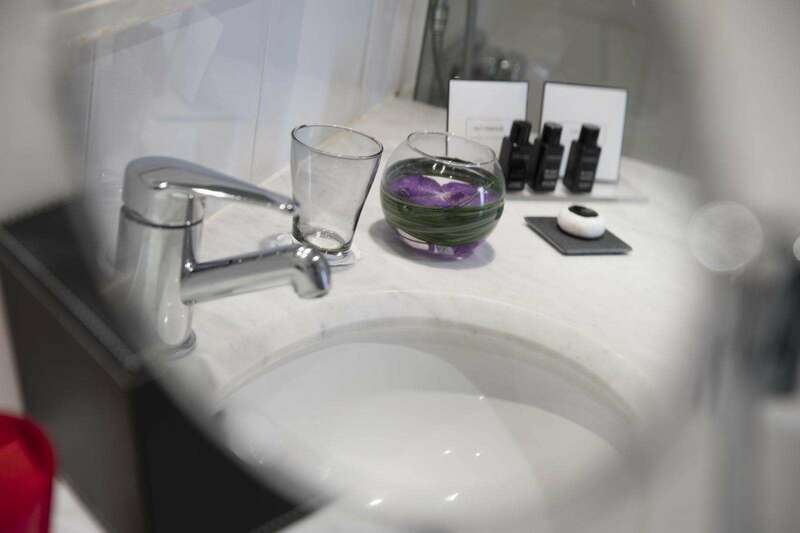 Contemporary decoration and comprehensive services guarantee you a pleasant stay in Paris. 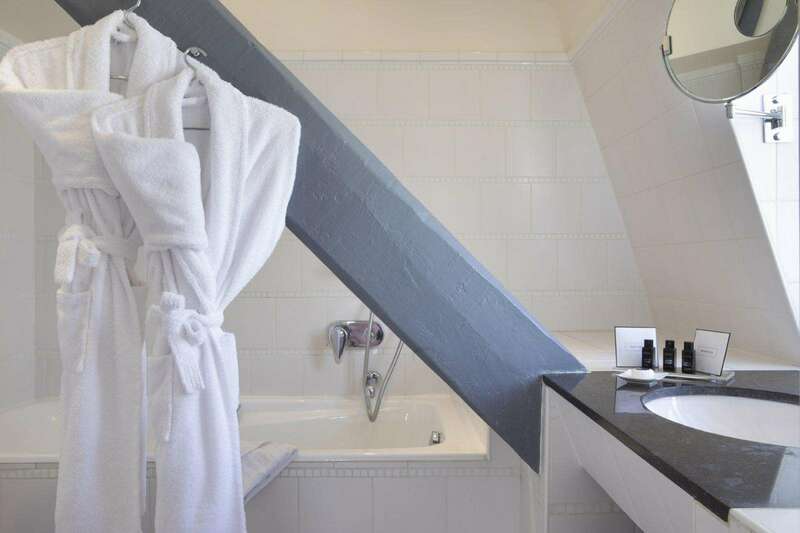 It has a bathroom with bath tub and is ideal for a family break: a bed for children (under 12) can be added for free (on request) and adjoining rooms are available. 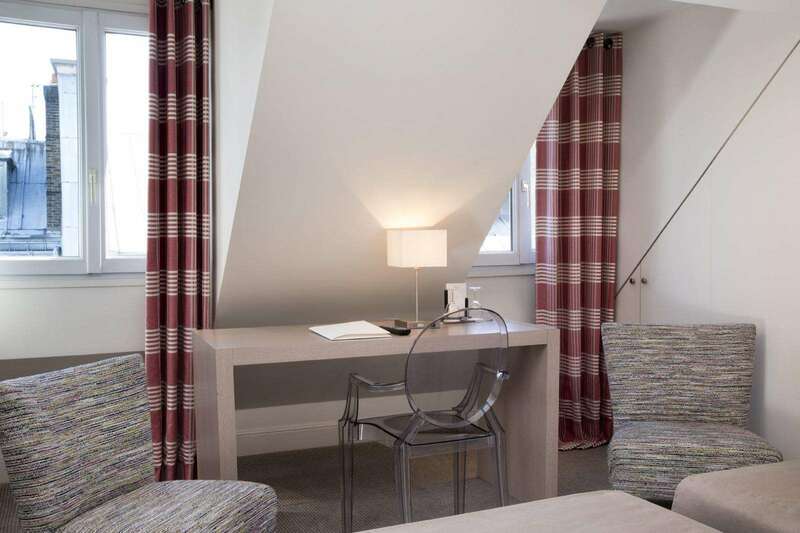 This charming garret room offers an attractive setting: located on the 6th floor, a colourful and contemporary Pop Art-style decorative scheme is beautifully blended with designer furniture and the superb mansard roof to create a warm and inviting atmosphere. 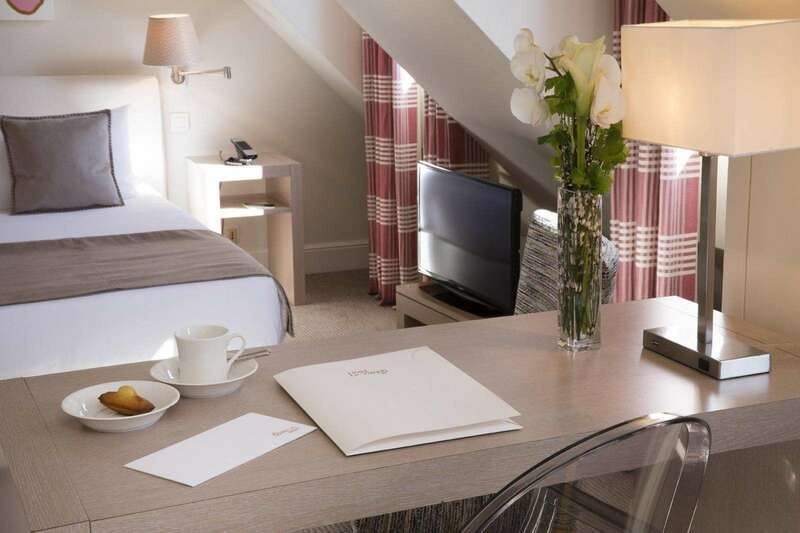 Ideal for a business trip or romantic stay for two, the Deluxe room, with a view over the rooftops of Paris, guarantees a pleasant stay in a peaceful and cosy setting.